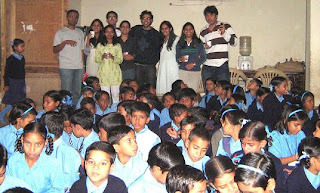 As children in India celebrated Children's Day on November 14th the students at school were not left behind. Thanks to some wonderful volunteers who decided to give the children a reason to smile and enjoy their day. 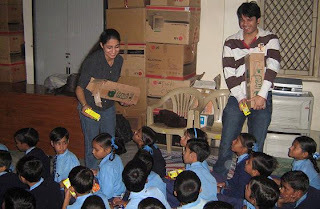 These volunteers brought along with them choclates, chips and juice, which the students enjoyed. They got to watch an animated movie too. It was a wonderful treat for the students. A treat which they would cherish, since most of their parents struggle to even to feed them with basic meals. What is normal for most is "extra-ordinary" for these children. 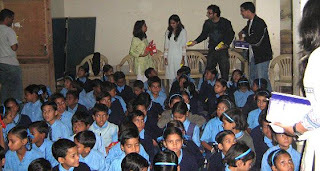 The day ended with the students getting some free stationery too. Thanks again, to the volunteers.